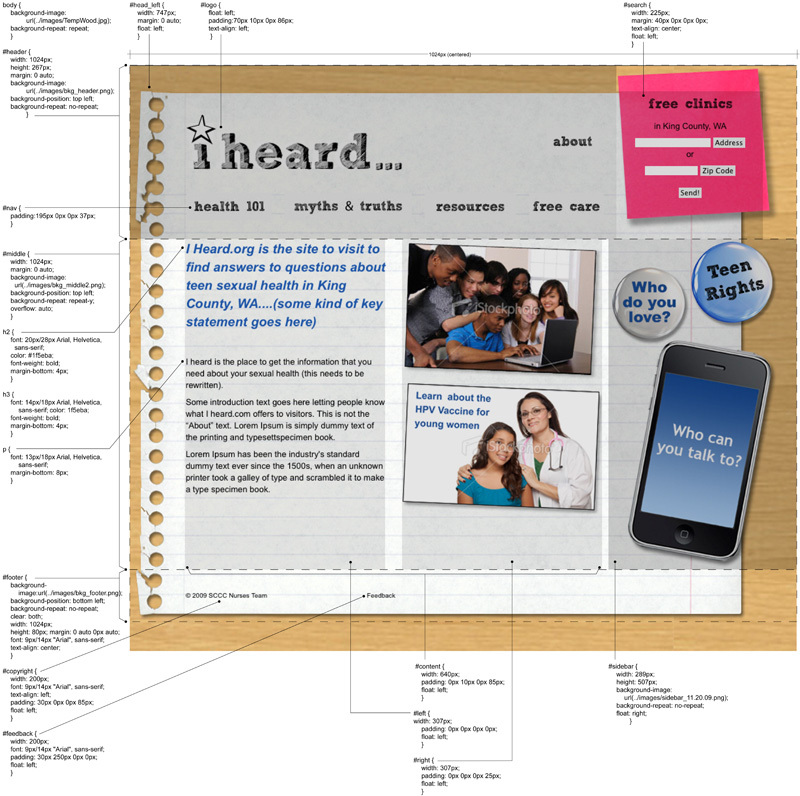 These are the basic specifications for pages on the iheard.org site. These were created to help the site developers with their work. Website Team: composed of students from the Seattle Central Community College Web Design and Web Development Programs.